Lebanon's president called on Saudi Arabia on Saturday to clarify why Lebanese Prime Minister Saad al-Hariri could not return home, a week after he stunned his country by resigning while in the kingdom. BEIRUT • When Lebanese Prime Minister Saad al-Hariri made a sudden trip abroad last week, it was taken at first to be a routine visit with his political patron Saudi Arabia. But the next day, he unexpectedly announced his resignation by video from Riyadh, the Saudi capital. The Iranian-backed Hizbollah movement, part of Lebanon's governing coalition, has charged that the Saudis were holding him against his will, while the Saudis have said they were protecting him from an unspecified assassination plot. 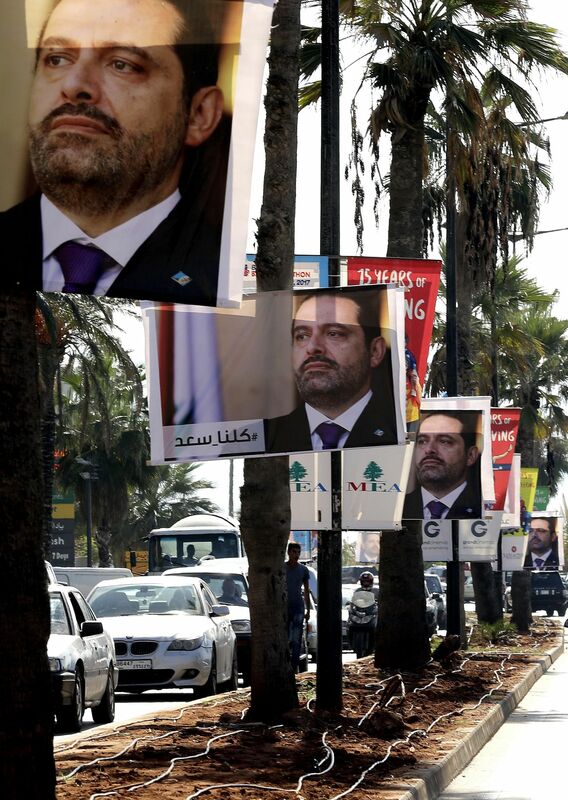 The Hariri case has become just one in a profusion of bewildering events - from Saudi Arabia's arrest of princes and wealthy businessmen last weekend to ordering its citizens out of Lebanon on Thursday - that are escalating tensions in the Middle East and fuelling anxiety about whether the region is on the verge of military conflict. In a televised address on Friday, Hizbollah chief Hassan Nasrallah accused Saudi Arabia of seeking to incite conflict. "The head of the Lebanese government is detained in Saudi Arabia, he is banned from returning to Lebanon until now," he said. "The most dangerous thing is inciting Israel to strike Lebanon... I'm talking about information that Saudi Arabia has asked Israel to strike Lebanon." Mr Nasrallah also warned that his movement, which fought a devastating war with Israel in 2006, was stronger than ever. "We are stronger today, we warn them against misguided calculations, against any knee-jerk initiative," he said. But he added that his party saw an Israeli attack as unlikely at this stage. The party is the only organisation that did not disarm after Lebanon's 1975-1990 civil war and now has an arsenal that outstrips the country's armed forces. The events have sparked international concern, with the US warning against using the tiny country as a "venue for proxy conflicts" and the United Nations saying it was "essential no new conflict erupt in the region". France called for Mr Hariri to have "all his freedom of movement" amid rumours that he was being held against his will. Mr Hariri, who also holds Saudi nationality, did not say when he would return to Lebanon, where President Michel Aoun, a Hizbollah ally, has yet to formally accept his resignation. Mr Aoun told foreign ambassadors on Friday that Mr Hariri had been "kidnapped" and must have immunity, a senior Lebanese official told Reuters yesterday. Mr Aoun yesterday called on Saudi Arabia to "clarify the reasons that have prevented the return of PM Hariri to Lebanon". Even before the events of the past week, analysts and officials in the region had been growing more anxious about what they see as a volatile combination: An impulsive Saudi leader escalating threats to roll back growing Iranian influence, an equally impulsive Trump administration signalling broad agreement with Saudi policies, and increasingly pointed warnings from Israel that it may fight another war with Hizbollah. No one expects Saudi Arabia, which is mired in a war in Yemen, to start another war itself. But Israel has expressed concern about Hizbollah's growing arsenal on its northern border. Israeli officials have been publicly predicting another war with Hizbollah, while also vowing to do all they can to postpone it. Prime Minister Benjamin Netanyahu has long considered Iran to be Israel's foremost enemy, a potential nuclear threat as well as a strategic adversary seeking to convert post-war Syria into a staging ground for attacks against Israel. The head of the Lebanese government is detained in Saudi Arabia, he is banned from returning to Lebanon until now. The most dangerous thing is inciting Israel to strike Lebanon... I'm talking about information that Saudi Arabia has asked Israel to strike Lebanon. 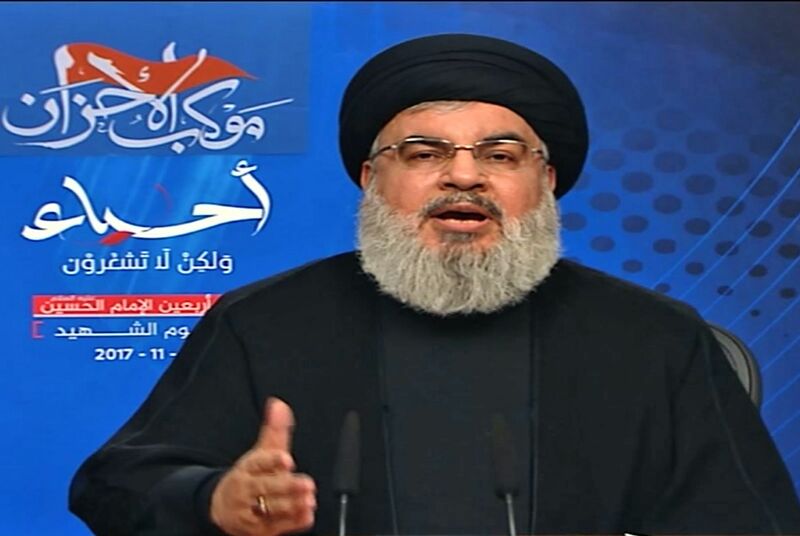 HIZBOLLAH CHIEF HASSAN NASRALLAH, in a televised address on Friday. So Saudi Arabia's recent stepped-up efforts to oppose Iranian influence in Lebanon drew measured applause in Jerusalem. Many Israelis fear the aggressive actions by the Saudi Crown Prince could drag Israel into a war it does not want. Mr Daniel Shapiro, a former US ambassador to Israel, said the two countries were pursuing similar goals at sharply different speeds and levels of proficiency. There are no signs of war preparations in Israel. The country is not mobilising troops on its northern border or calling up reservists. Nor is Hizbollah necessarily hankering for battle with Israel, say analysts. But some have warned that the increased tensions could provoke an economic crisis or even start a war by accident. Miscalculations have started wars before, as in the 2006 war between Israel and Hizbollah.